Language and communication are essential to life and culture, but where is poetry’s place in a world where the emphasis is on speed and efficiency? If one can get past the notion that poetry is only for intellectuals and scholars, that it is boring and difficult to understand, then becomes apparent the fact that poetry is simply a way to smell the proverbial roses. It can help us appreciate language, how beautiful it can be, how wonderful it can sound. That love of language can then be communicated to readers and spread around the world. Sounds idealistic and romantic, but in my opinion this is actually what poetry can accomplish. Poetry can encompass both the sound of music and the movement of dance. It can also capture beautiful visual images, and reproduce the rough or smooth texture of things. It records our experiences of the world through our senses, our meditations on them. It can blend all of our senses together in one synesthetic, cathartic moment of a poem. An old professor used to say poetry is “a compressed drama”. I tend to agree with that statement. The old maxim ‘a picture is worth a thousand words’ might be true in some cases, but poetry finds a way with words to tip the scales so a picture might be worth only a precious few. I think it is true when people say that music is its own language. I’ve heard master musicians described as being “fluent in many idioms” (I think this was in reference to guitarist John Scofield) such as jazz, blues, funk and many other genres. The interesting thing here is the word “idiom”. This is a word that refers to written language; yet music has none in that sense, excluding musical notation of which not everyone is literate. Music communicates emotion as a sort of raw energy, directly through the ears; something that also happens in the best kinds of poetry. Songs ranging from classical to pop are regimented and structured: also in poetry. Lyrics can be, and sometimes are poems themselves. One idiom that comes to mind is: “poetry in motion.” This may sound cliche, but the fact is that movement, gestures, and expressions are all ways to communicate: body language. When a dancer moves the feet and arms in a certain way, we are moved by the evocation, the emotional energy. When a ball player passes a ball with intent, the receiver knows where to be, how to get there: the coordinates have been communicated, all without words. 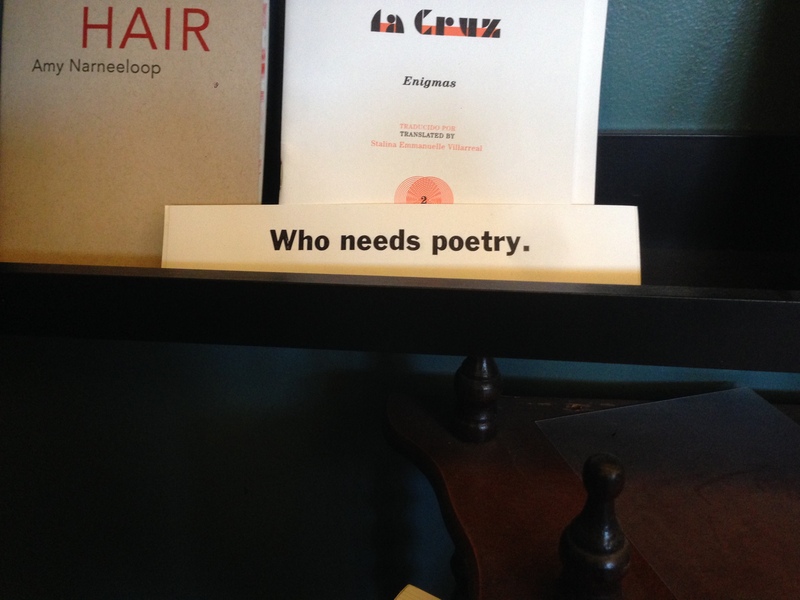 Yet when the actions are completed, when a hole-in-one is scored or a masterful trick landed on the rink, the highest praise we give is in terms of poetry. If poetry has a place in the lexicon of popular culture, then it is something that can be written, revised, and revamped. More readers, from all ranges of experience, could and should turn to poems for pleasure, for inspiration, for healing; to explore new worlds and perspectives in a few short lines. On the other hand, poets should perhaps be conscious of a wider audience when writing poems as to make them more accessible. I apologize for rambling on. I would love to hear anyone’s thoughts on this very free and open discussion in the comments section below. Cheers! Jason Ryou is an MFA student at Hamline University. He has lived in Glasgow, Los Angeles, and Seoul, and currently resides in St. Paul.